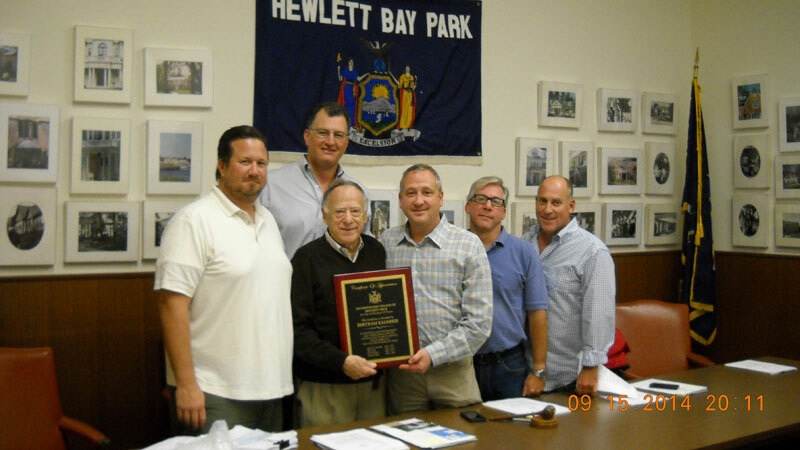 Long time resident of Hewlett Neck, Bertram Kalisher retires as Trustee after serving on the Board since 1968. Mr. Kalisher became active on the Board in 1968 as Treasurer and Historian. He then moved on to become a Trustee in 1970 and then as Deputy Mayor from 1997 until September 15, 2014. Mr. Kalisher will remain as Historian. 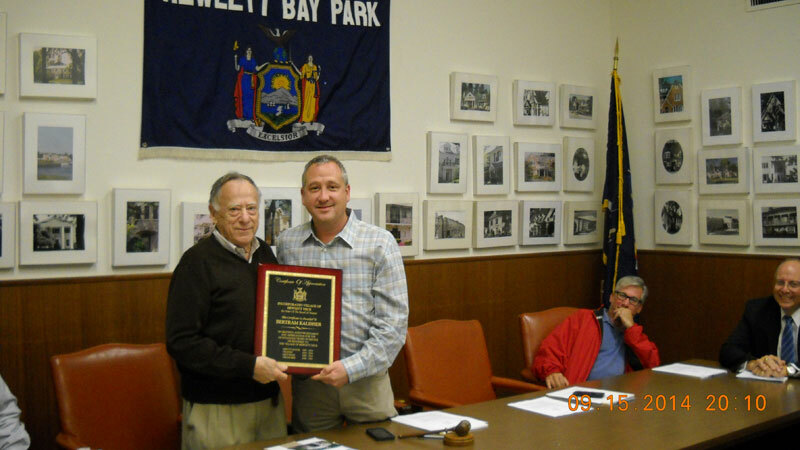 The Mayor and Board of Trustees presented Mr. Kalisher with a plaque in recognition of his many years of dedicated service to the Village.